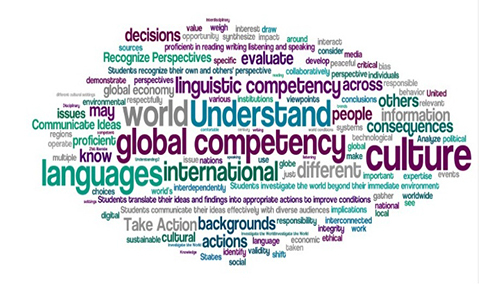 What are our strenght in terms of global competencies? How well do you understand our own comunity? Do you know another comunity really well? Which one? How would you describe your understanding of world history? What languages can you communicate in? When you listen to a person communicating in a language you don't understand, what's your reaction? Eric Whitacre is one of the most popular musicians of his generation. His ground-breaking Virtual Choirs have united singers and professional musicians alike from over one hundred different countries. The Virtual Choir is a global phenomenon that brings together singers around the world and their love of music in a new way through the use of technology. Can we do anything to strenght our global competencies?